The history of Povrly as the center of metallurgy dates back to 1898 when Moritz Bondy, a Prague-based businessman, came up with the idea of setting up in Northern Bohemia a metallurgical plant specializing in copper and brass processing. As the proper location for the plant, the (at the time) little known municipality of Povrly was chosen, the reasons being primarily its location on the important railway line connecting Prague with Podmokly. Another advantage was the proximity to the River Elbe, offering the option of importing feedstock at low cost. The rolling & drawing mill was however set up only after Maxmilian Bondy, i.e. Bondy Sr.´s son had entered the scene. In partnership with the Czech UNION Bank, Bondy Jr. participated in setting up the "KUPFERWERKE ÖSTERREICH" joint stock company established (on May 24, 1899) with its headquarters in Prague and an affiliate located in Povrly (referred to hereinafter only as: "the Works").Flourishing industrialization and electrification in early 20th century provided great sales opportunities that in turn made it possible for the Works to expand at a pace never before seen. In the course of the first decade, a variety of production facilities was built, such as the sheet rolling mill and the tube rolling & drawing mill. Even later the Works continued to expand and upgrade its equipment. 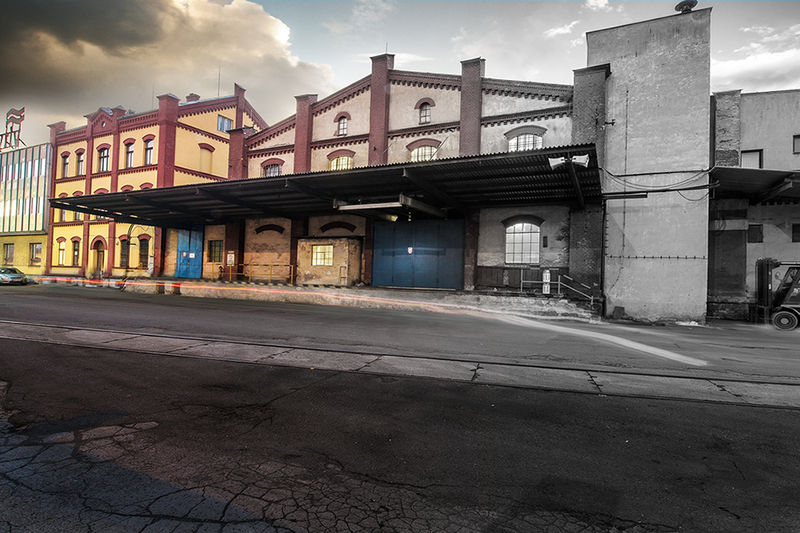 After the foundation of the Czech Republic, the plant was renamed, and - under the name of BOHEMIA COPPER WORKS /hereinafter only: "the Works") continued expanding and broadening its scope of production. Additional new modern facilities such as the strip mill, the wire pickling & wire rope facilities, and new feedstock storage facilities were launched, and the foundry was extended, all these being clear indicators of ongoing expansion and increase in capacity. However, the rapid expansion of the works was discontinued with the outbreak of the economic crisis in 1929. Later, signs of further development appeared in 1934 - with new facilities for the manufacture of bars & tubes launched. World War II had an adverse impact on copper & brass metallurgy then prospering in Povrly. Production was thus redirected to meet war requirements and products made of mainly iron and aluminum constituted the manufacturing schedule. Moreover, at the end of the War, the Works were badly damaged. Thus, while in the early post-war history of the Works, liquidation of war damage became a major objective, in the 1950´s new facilities were built for the staff and, among others, an apprentice training center specializing in the manufacture of non-ferrous metals was launched. Following the decision that the Works take over all production schemes specializing in the copper & brass rolled portfolio, additional facilities such as the sheet plant were built, and the foundry extended. The Works were provided with a new utility connection and a headwater pond built in Povrly´s vicinity with the aim of improving water management in the Works. In the 1960´s, the manufacture of copper chromium metallurgical products was launched, largely that of electric welding bars. By contrast, in the 1970´s, activities in a variety of divisions such as the copper refinery, wire pickling, tube & bar rolling & drawing was suspended with the Works refocusing on the production of rolled products made of copper and brass. Electric brass smelting was launched and semi-continual & continual casting introduced. Further development of the Works was largely marked by the requirements of electrical engineering and quality-related requirements in general. In the 1980´s a facility for continual brass strip casting was launched providing for subsequent forming, together with a formatting sheet production line. In order to meet the requirements of ultra-precise final cutting, additional investments were targeted at the machinery equipment in the sheet-strip facility where a new SENDZIMIR-REDEX sheet mill stand, together with SOMA sheers were installed. Additionally, the sheet mill stand located in the sheet mill was revamped, a special facility providing for the production of special-quality bronze installed along with new equipment for precise strip cutting in the strip mill; last but not least, the Work´s labs and staff welfare facilities were refurbished. Hand in hand with the metamorphosis dealt with above, it was the ever increasing environmental requirements that had led to the resolution of the issue of zinc emissions accompanying brass casting. In support of further development, a PC information system has been launched. The company internal quality assurance system has been certified by the RW TÜV certificate EN ISO 9002 and EN ISO 9001. In 2005 we were certified by RW TÜV ISO 14001, which relates to environmental protection.